You may know that I am not a big fan of dessert. And yet I needed just a little bite or two to finish off my meal tonight, and incidentally there was an outlet of Cake Boss Buddy Velastro's bakery at the Venetian (3327 South Las Vegas Boulevard, 702-607-2356). 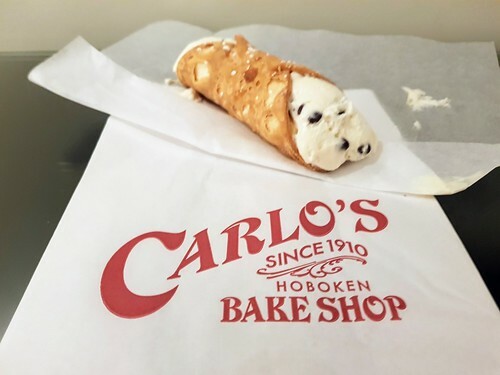 I asked for the most popular thing and they said that it was either that cannoli above or the lobster tail pastry. I went for the former, and was happy with the flaky crust and smooth filling, the latter of which was laced with a good amount of cinnamon. Now, I don't eat this frequently enough to make a proper comparison to say, Mike's Pastry in Boston. But it did the job.